The book is a highly imaginative and creative thriller novel. The first half of the book is riveting, which will elicit a confusion whether the “butler was the culprit” or the “husband was the culprit”. But the actual turning point of the book comes in the second half. The book is surely is an irresistible summer thriller that contains a twisting plot comparing to Alfred Hitchcock novels. 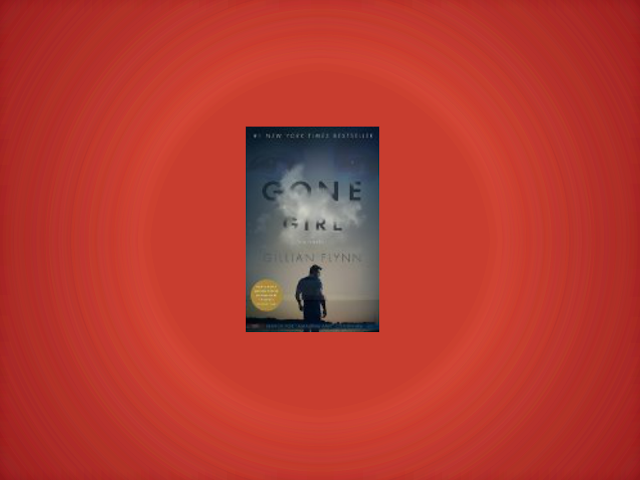 The author Gillian Flynn is a mystery and thriller novelist whose debut novel Sharp Objects was nominated as a finalist in Edgar Award and won two Britain Dagger Awards. Other books she has written includes Dark Places, which is 2009 New York Times bestseller. When a book is written by a New York Times bestseller Gillian Flynn, it is bound to be read by most thriller novel fanatics. It is not only that it is written by some acclaimed writer or novelist, but for the creative imagination and the plot of the book makes it’s a must read for every reader, especially who likes to read thriller and mystery novels. The readers who like to read stories having virulent strains of unreality would surely appreciate this book as it is filled with many sneaky mind games. David Fincher has made a movie with the same name and the story recently. But it is recommended to read the book first before watching the movie. If you like a fresh ending of a story, then this book is a must read for you. When reader reads a book, the main ingredients he would like to see is uniqueness and an engrossing and cleverly plotted story. Gone Girl by Gillian Flynn has all these three ingredients and hence it has become “the chosen” book for many readers worldwide. The story of the book is about Nick and Amy Dunne and Amy's disappearance on their fifth marriage anniversary. The author has plotted each new development in such a way that makes the story more suspenseful and makes readers eager to know what is next in store. The twist and surprising developments in the story are the USP of this book. This book is not just a thriller and mystery novel, but also a story that brings out unconventional truths about love and marriage. When you are reading the novel for the first time, there are few aspects that is clearly evident about the story as whole -- a flawless storyline, a daring approach, creativity, great narration and a remarkable insight. The author has casted the characters and blended the story so well that it won’t be a surprise if you find yourself or someone you know in the little pieces of the storyline, which is really a credible talent in any writer. One of the best parts of the book is its narrative. Ms. Flynn has cleverly blended the two narratives – one is of Nick, which is during the present day while answering the investigators and the other one is of Amy, which is in the form of a diary that she wrote during their courtship and marriage. As the story passes and Amy remains missing, the author has very nicely and steadily moved Amy’s narrative towards the day of her disappearance, which eventually brings out many surprising and shocking revelations. It’s not only the story but also the characters as well, that brings life to the story. This is what makes the book more attractive. One of the improvements the author could have integrated in this novel is maintaining brevity of content. The writer drags the story to 600 pages when a 400 pager would actually make more impact. As the story gets dragged, it loses its impact considerably. This redundancy has weakened the suspense in the end. Moreover, the ending is not as exciting as it could have potentially been. Also, the author could have deconstructed love and marriage a little less. As it's a suspense thriller, there are twists and turns in the storyline as expected, but Gone Girl gives these twists a different dimension. Its an excellent thriller dealing with the complexities of love and marriage, that couples especially should not miss reading.